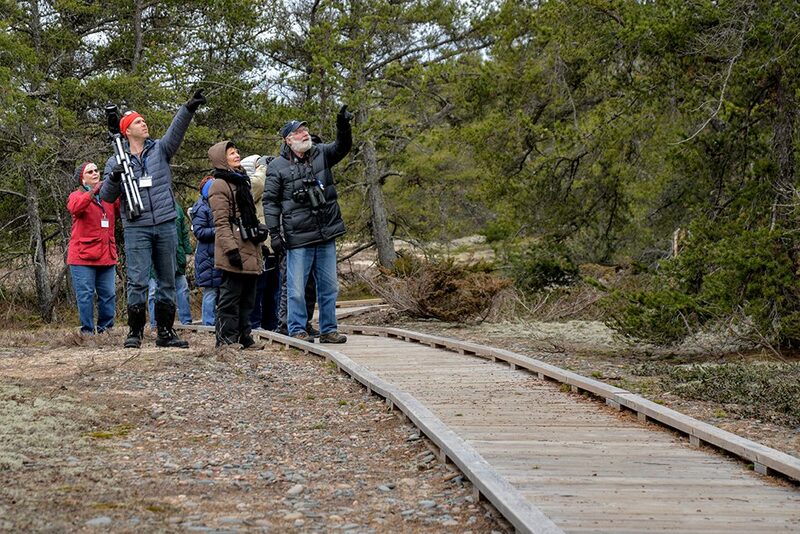 This year will mark the 31st Annual Spring Fling: WPBO’s Celebration of Bird Migration when members and their guests “migrate” to Paradise, Michigan and the Whitefish Point area to visit with old friends, both human and avian. Many activities are being planned for another refreshing weekend of birding experiences. Dr. Williams serves as the leader of the team of contaminants specialists in the Michigan Field Office of the U.S. Fish and Wildlife Service. She has worked for the Service since completing her Ph.D. in Environmental Toxicology – Fisheries and Wildlife at Michigan State University in 1993. In that time, much of her work has centered around the Great Lakes and freshwater river systems contaminated by PCBs and other persistent contaminants, but she has also worked on significant oil spills and a variety of contaminant issues related to National Wildlife Refuges, threatened and endangered species, and migratory birds. In her talk, Dr. Williams will be describing some of the long-term work she and others have been doing to assess the health of Herring Gulls and Caspian Tern in contaminated areas in the Great Lakes and also provide a glimpse into the work that went into rescuing and rehabilitating birds that were oiled in the Kalamazoo River when Enbridge’s pipeline ruptured near Marshall, Michigan, in 2010. She will then finish by showing how information from these and other efforts have resulted in conservation efforts that are paid for by the parties responsible for releasing pollutants into the environment. These field trips are not part of your basic Spring Fling registration, but you can register for them along with your Spring Fling registration, or separately. If you plan to attend the 2019 Spring Fling, why not get a head start on the weekend with this pre-Spring Fling trip? The focus of the trip will be spring migration at the point including raptors, waterbirds, and early passerines. A lot of birding will be done at Whitefish Point itself, and this includes spending some time on the hawk deck. This is one of the most diverse times for raptors and double-digit numbers of raptors for the day is quite possible. Bald Eagle, Northern Harrier, Rough-legged Hawk, American Kestrel, Red-tailed Hawk, and Sharp-shinned Hawk are very likely, along with other raptor species, including the chance to see a Golden Eagle. The characteristic sound of flocks of Sandhill Crane flying overhead will almost surely accompany our trip. Waterfowl are also in good variety with Common Loon, Red-necked and Horned Grebe expected, along with the opportunity for Red-throated Loon (flying by) and other dabbling ducks. The feeders at Whitefish Point are often rather active at this time of year, with many species of sparrows. Some sparrow species possible include Vesper, Lincoln’s, and Fox. Overall, a wide diversity of species is found on this trip. Expect to spend time at the Point, on the hawk platform and at other birding spots in the WPBO vicinity. This trip will begin at dawn, or thereabouts, and last until mid to late afternoon. Additional details: This is an all-day trip that will begin in Paradise. You will be notified beforehand about the exact details and directions to the meeting location. Transportation during the field trip is via personal vehicles. This trip does not include meals, nor is this trip included in the registration costs for Spring Fling. Spruce Grouse is on the “most wanted” list for many birders and can be notoriously difficult to find on your own. 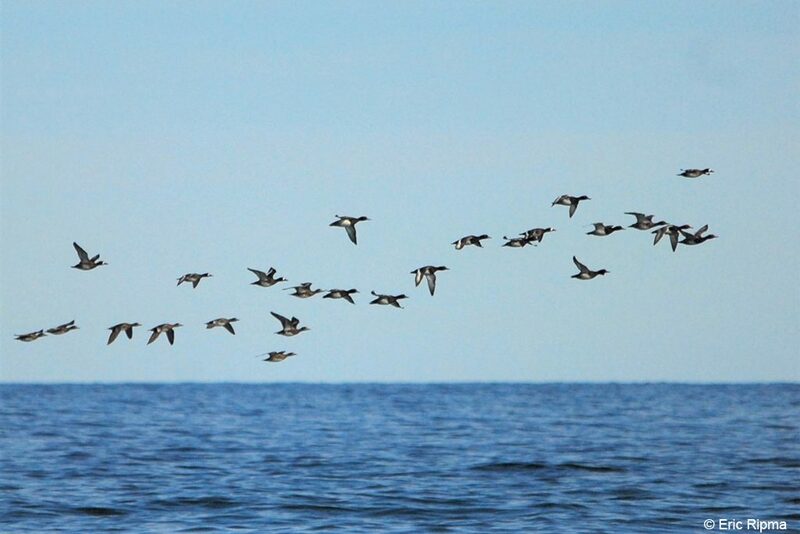 On this half-day trip, we will combine our knowledge and expertise, and the advantage of the collective eyes of a group, in an attempt to locate one or more of these birds while taking in the other birds and sights of the Whitefish Point area. No guarantees, but we usually turn up one or more grouse. And we always have a good time. Additional details: The trip will begin Sunday morning in Paradise and last about three hours. You will be notified beforehand about the exact details and directions to the meeting location. Transportation during the field trip is via personal vehicles. This trip does not include meals, nor is this trip included in the registration costs for Spring Fling.